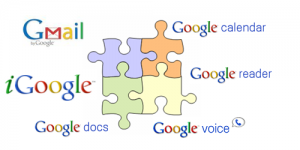 The information you keep in Google apps like Gmail, GCal, Reader, and Voice doesn’t just live in one place. There are a few easy but non-obvious ways to plug different Google apps together and share their data and features. Thanks to things like Labs and gadgets, you can get your Calendar in Gmail (and vice versa), Docs in Calendar and Gmail, Profile info in Google Reader, Google Voice SMS in your Gmail, and just about everything on iGoogle. Here’s how. Lifehacker link leads to blank page. 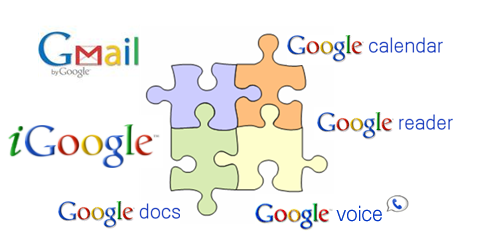 I just wish Google would work on integrating all of their products so they are all available under Google Apps (previously Google Apps For Your Domain). Right now, my iGoogle and Google Reader sites are available under my Gmail account, while everything else I do on Google is under my Google Apps account.